The nineties are fully back. Meaning you need to show off your CK Calvin Klein logos. 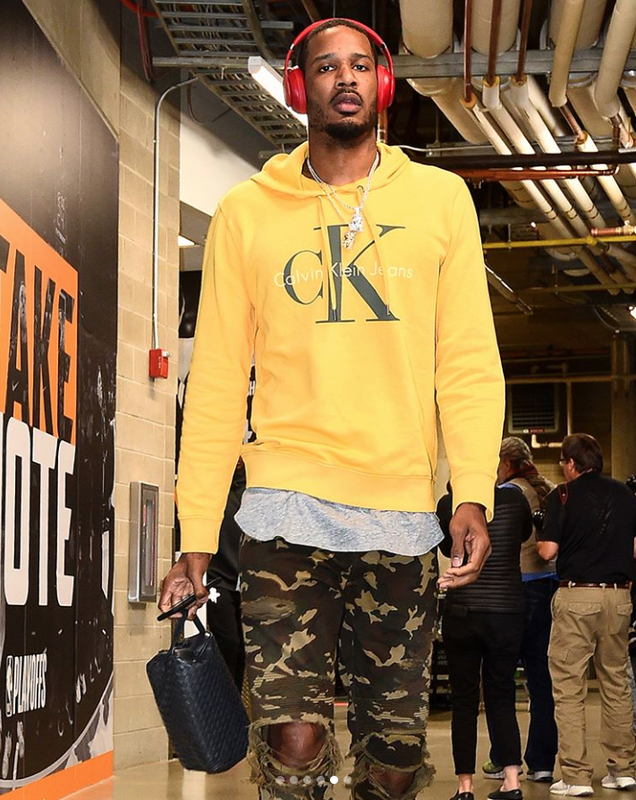 Trevor Ariza pregames in Calvin Klein Jeans logo pop sweater at Vivint Smart Home Arena during NBA Playoffs.